The Key to Success Retreat is an exclusive opportunity for entrepreneurs, business owners and corporate leaders to work in a luxury retreat environment on themselves and their business. Christine McGrory MSc. BSc. is an award winning, global entrepreneur and has used the very same strategies on her own business as she teaches on The Key to Success Retreat. 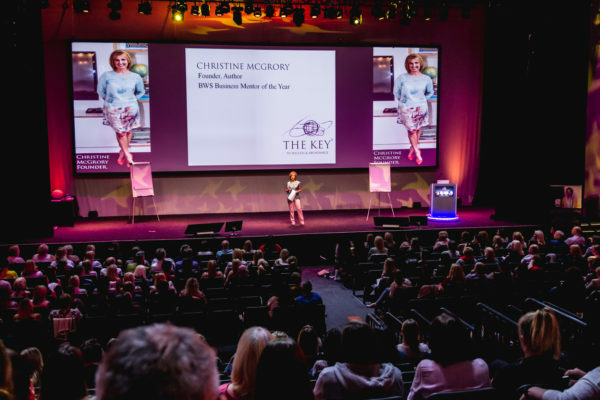 Christine currently works with an elite group of award winning Scottish entrepreneurs who have all successfully used The Key to Success Process within their own successful businesses. VISION – Clarity on personal and business purpose, vision, values, and legacy story. FOCUS – Giving the vision the appropriate focus, energy and attention to make it happen. BELIEF – Developing a shared and unshakeable belief in you, your people, your market and business. BEHAVIOUR – Developing world-class strategies and success behaviours. The Key to Success is energising; entrepreneurs, teams, executives and organisations across the UK. It’s principles are being embraced and implemented in business with incredible and consistent results. This is an exclusive luxury bespoke 4 day entrepreneurial and business programme based on The Key ®Creation Process, The Key Philosophies and World Class Leadership Models. The Retreat has been created by Christine McGrory with mindful research to ensure outcomes align wholly with the participants vision, values, ethos and strategy. Join an elite group of aspirational entrepreneurs and business leaders in the in the heart of Scotland for the ultimate business space to create. – Delicious and healthy local food and juices. Widely recognised for her charm and grace, Christine has a unique ability to engage the heart. 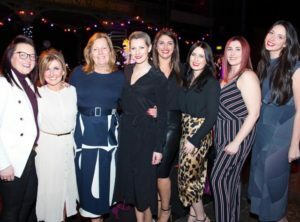 She has in the past been voted one of Scotland’s most influential women by the Glasgow Herald, a finalist in The Glasgow Awards and proposed for the Glasgow Herald’s Inspiring City Awards. She was voted; Business Women Scotland’s Business Mentor of the Year. Having held senior positions within Scottish Power Retail Division, leaving to set up a chain of childcare centres to support working parents, Christine understands how to over come the challenges of balancing ambition, success and life. The Key to Success – Business Development Programme and Retreat has evolved from the recognition of Christine as a serial entrepreneur in her own right. Having supported nearly 100 small to medium size businesses and start ups, and with business owners and entrepreneurs experiencing massive growth in their thinking and as such their business enterprises; Christine created a bespoke business offering, incorporating the world class thinking and practices that she herself and her clients have used to experience exponential growth. Recognised by the Queen for her work in the community and as a Trustee of her Charity, The Institute of Creation, Christine understands the importance of philanthropy as a Key component of business success. Practising and teaching a variety of transformational leadership approaches developed from world-class teachers, with a MSc in Corporate Leadership, a BSc in Chemistry and Christine is uniquely positioned to understand and teach the spirit and science behind personal, entrepreneurial, business and corporate success. Her acclaimed Leadership and Mentoring Programmes ‘Creating Leaders on Every Level’ has supported many business leaders to realise their own organisations and leadership ambitions. Her transformational programmes; The Key, Unlock Mentoring, The Key to Health and Wellbeing, FOR LIFE, The Key Corporate and The Key World Retreats are widely acclaimed throughout the UK as ‘beyond transformational’ and ‘Pure Creative Genius’. Christine’s first book, ‘Grace’ is an Amazon 5 star best seller and has inspired people across the planet to think and dream big. Christine has received recognition from the Queen for her work in the community. The Institute of Creation, Charity No: SC045865. of which Christine is the founder and principal trustee, will receive 10% percentage of profits from Key Retreat bookings. Our vision was to expand our company, but the question was how do we do this and keep the core values of the business that we’ve worked so hard to achieve, and filter these key fundamentals down through all of our new ventures. We found this possible through Christine McGrory – a motivational, inspirational and thought provoking individual. Through her visionary workshop Christine was able to give us the tools and clarity to implement a bespoke company vision and leadership program to allow our business to grow with the confidence whenever, wherever, and with whoever. I have always asked myself ‘Why?’ on pretty much everything I do both personally and in business, but it wasn’t until I met Christine from the Key that I realised the true meaning of this little small humble word. Through this I’ve learnt that even the small things in life have an intention and purpose. I pretty much practise ‘Why?’ in everything I do now. It has helped me practise business in a truer and more meaningful manner as well as strengthen my position as a leader and influencer. From a personal point of view, I believe I am a better person for it. My mindset has changed and I live a life surrounded by positive thoughts and people. I’m not afraid when things don’t go to plan; I’m more determined to set them right. If I could share one piece of advice? Don’t be the one that holds you back – it’s you that holds the key!